The EPDM single-ply rubber roof system has pros and cons associated with its material’s performance. 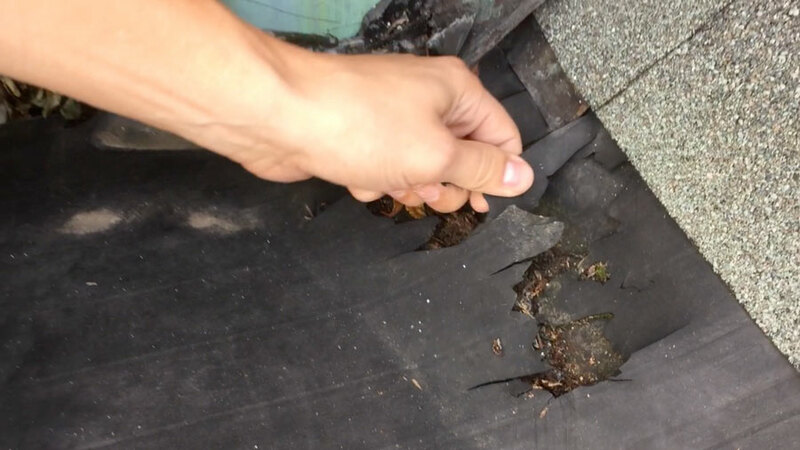 We have repaired many EPDM rubber roofs in the Pittsburgh, Monroeville, Stamford, Greenwich, and Westport areas due to ultraviolet degradation and shrinkage. Below, the video reveals how EPDM fails to perform despite seamless aesthetics. Most roofing contractors are only familiar with the EPDM single-ply roofing system. Pro: Roofing contractors can install EPDM quickly and at cost that seems appealing. Con: The contractor is not familiar with other roofing systems. The potential for repairs and possible replacement of EPDM is sooner than expected. This image reveals the degradation of ultraviolet rays and shrinkage of an EPDM single-ply roofing system. Pro: EPDM single-ply rubber roofs can last up to 15 years. Con: Continued maintenance. After the installation of an EPDM single-ply rubber roof, it could be as soon as 3 – 4 years when leaks can begin. The glued seams start to come apart because of the deterioration of the adhesives. Pro: EPDM is flexible and installs easily around skylights and drains. Con: EPDM degrades and shrinks causing leaks and creating a constant need for repairs. Check out the article on roofing systems explained. This will be helpful in understanding the different types of roofing systems and how they are applied. There are 3 different roofing systems that can be used by roofing contractors: the EPDM single-ply System, the TPO system, and the Modified Bitumen Torch Down Two-Ply Membrane System. Most roofing mechanics are only familiar with EPDM and know very little about the TPO or Modified Bitumen Systems. Because of their lack of knowledge of the other systems, they are unable to provide their clients with the best choice according to their needs. This EPDM single-ply installation shows damage by ultraviolet sunlight. This is clear that no one really knows what goes on. There are mainly three types of roofing materials or systems used for flat roofs. These are Modified Bitumen Membranes, TPO and EPDM rubber. When you try to compare one roofing material with another, you will have a hard time getting the correct information. Everyone is there to promote their own agenda, including me. I am an advocate for Modified Bitumen Membranes and I will explain why. TPO, EPDM and Modified Bitumen are considered single ply roofing membranes. Each one has its own composite properties. EPDM and TPO are very thin materials. They are less than a 1/16″ thick. As one commented, they can’t take much abuse like traffic. Modified Membranes are much thicker. The Roofing System that is by far the best is a 2 ply system. Only Modified bitumen membranes can be applied with a two-ply system. When you install this roofing system, you have over a 1/4″ thick material and it will outlast any other roof. Check out this article on the Two-Ply system. I have used EPDM roofing and I have been very impressed with it. If there are any problems and damage you can apply EPDM rubber coatings. I feel there are very few products out there that can match the durability of EDPM. Liquid “roof” and “Liquid” rubber are very much part of EPDM roofing in general. Liquid EPDM rubber is easy to apply and cures slowly. It is also water resistant. Liquid EPDM can be used to re coat the following materials. urethane foam, sheet rubber, weathered metal and cement. Liquid EPDM can also be used to “weather proof” concrete and roof tiles. It can be applied directly to plywood and timber in general. In the case of a salt environment, Liquid EPDM is very effective in protecting steels. We had to really think hard about what roof system we should use. Initial we thought EPDM would be the best option but after looking into this and doing some research we decided on using SBS. This was due to some worries we had with EPDM along with issue with cost. We would also like to thank the comments from “Expert On Roof Leaks” who reinforced our own concerns as well as giving us more information. We used “Premier” roofing for our roof a few years ago but we may well consider using the gentleman from “Expert on Roof Leaks” in the future, given his understanding and expertise on the subject of roofing.. Taking the market as a whole, EPDM uses the highest percentage of rubber. This does not make it the best choice for domestic roofing. EPDM was originally designed for use with large warehouses. It was not expected to be walked on very often or there to be alterations, modifications and pieces cut off. EPDM comes mostly in this standard size 10′ width x 100′ length. EPDM does not use adhesives such as tar, or standard glues. This is because the bulk of EPDM is rubber. This will cause the roofing to expand and contract to quite some extent. Most adhesives and tars will therefore, not be able to secure the roofing. The roof can deteriorate prematurely, if it is not allowed to “float” on its base. The glue that is used with EPDM roofing is confined to cut outs, low parapet walls and seams. Some roofing contractors with glue the entire EPDM roofing down onto a roof surface. 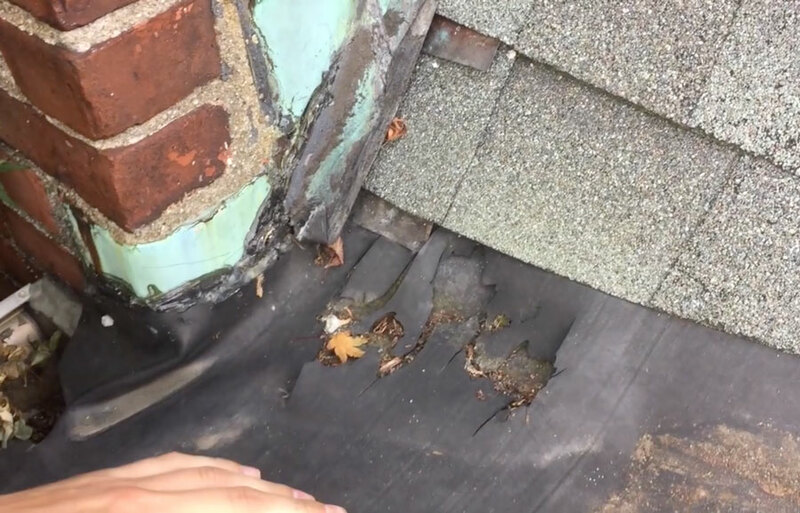 Because of the far greater expansion and contractions of EPDM than that of the adhesive, this will set up major problems for the roof in general. EPDM sheets cut to the length required for a roof. It is then secured and screwed down using a wind bar and sealing tape at each 10 foot seam. If there are any parapet walls, the edges can be glued to these. All cut outs can be glued with special adhesives and caulking glues. However, there could be major problems. The screws and fixtures secure the EPDM at the seams, at 10 foot intervals. There could be a tear in the roofing. This could be exacerbated by any slope the roof might have. Water could run down this slope, inside the EPDM covering and start to penetrate and rot anything in the house below. EPDM roofing can be hell. You end up repairing roofs and leaks caused by Satellite dishes, sharp edged tools and equipment being dropped, too many people walking on the roof, branches from trees and fireworks. There are other roofing options available. I suggest the best option option for residential roofing is SBS. A coating of adhesive is laid across the entire roof and the SBS roofing is applied to this. The SBS roofing then adheres to this coating. There being no sizable gaps as is the case with EPDM. The sealant will find its way into every part of the roof, creating a water proof barrier. This will proof as effective and durable as EPDM roofing at ultimately a lower cost. Another positive factor is that any leaks with SBS roofing will be confined to a restricted area..
Any water penetration would be kept to a minimum and could be dealt with quite easily. A EPDM roof is the best choice for a “low traffic” roof. That is when the roof will not be walked on regularly etc. These roofs can be damaged but they are not that weak either. As with “pool liners” you can add a tread surface to the roof. This is if you want to access say, an air conditioning unit when it needs servicing, as an example. EPDM roofing is suggested by contractors that want to do it cheap and fast. It can be considered for domestic use, but the cost might put people off. If vandalism is a worry then possibly consider a traditional pitched roof and not a flat roof. Another consideration with EPDM roofing is that they can be slippery in wet or very cold conditions. One way round this is to add additional gravel or paving stones to the roof surface for added grip. There could be a number of solutions.